Enjoy clear images, even in rooms with ambient light, with the InFocus IN1188HD 3000-Lumen Full HD DLP Projector. Its 3000 lumens of brightness can overcome ambient light in moderately lit rooms, while its 1,000,000:1 dynamic contrast ratio will help enhance detail in dark areas of the image without reducing overall brightness. Its Full HD 1920 x 1080 native resolution helps ensure that text and images are clear at most viewing distances. The IN1188HD supports 3D content via its HDMI input and also features an RCA composite video and a VGA input. Its 1/8" audio input and 3W built-in speaker will eliminate the need for external speakers, but its 1/8" audio output will allow you to connect to a separate audio system if you prefer. An HDMI cable and IR remote control are included as an added convenience. 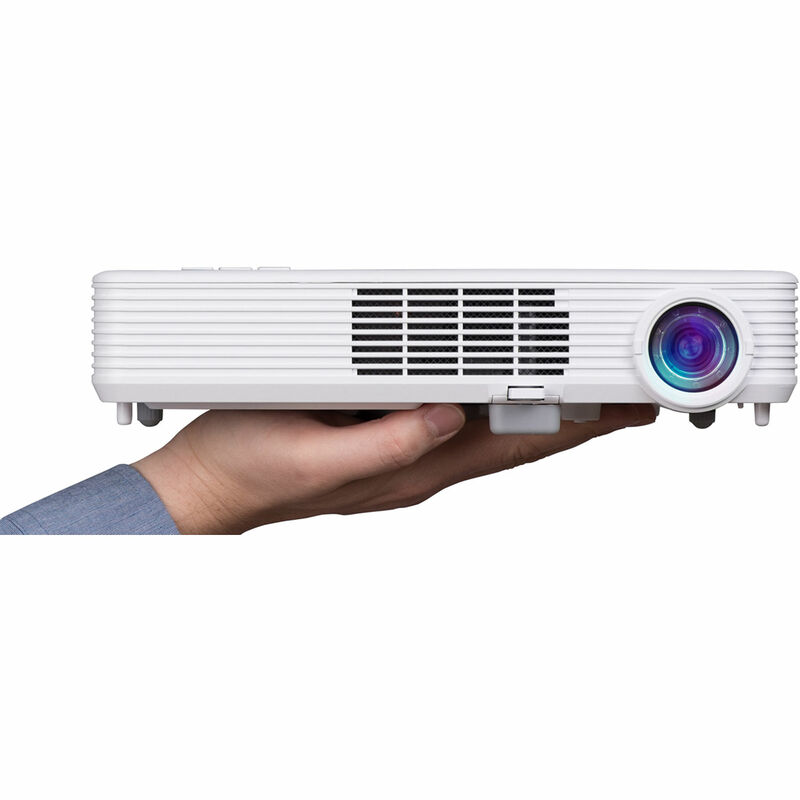 The IN1188HD is powered by the InFocus Quantum Color Engine to help provide enhanced image quality over the life of the projector. The engine is based on solid-state illumination technology and is tested for a variety of unique color parameters to ensure vivid images with a wide color gamut and high color luminosity. With virtually no color decay, you can enjoy the projector for over three years of 24/7 operation or over 10 years of business-hour operation. DLP technology, combined with BrilliantColor implementation, is designed to produce true-to-life colors. The 3000-lumen brightness produces bright, clear images in moderately-lit rooms, and the 1,000,000:1 dynamic contrast ratio adds sharpness with darker blacks and whiter whites. Solid-state technology means the IN1188HD will last up to 30,000 hours with an environmentally friendly mercury-free design. With no lamps to replace, there's less hassle and fewer added expenses over time. Lightweight (under 4.5 lb) and compact (11.7 x 2.2 x 7.9"), the IN1188HD is well-suited for business travelers, or anyone who needs to take their presentation on the road. Box Dimensions (LxWxH) 15.3 x 12.6 x 5.9"